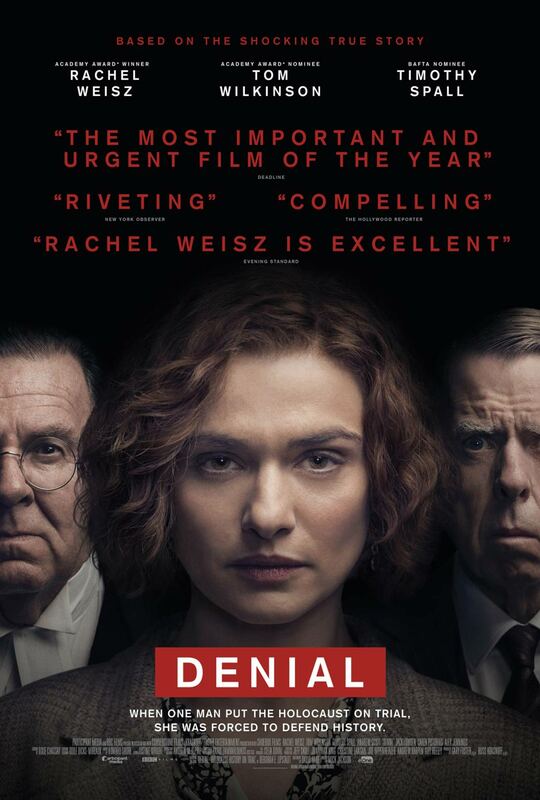 Brief Synopsis – Based on the true story of a Jewish historian who was taken to court by a Holocaust denier in England where the burden of Proof is on the accuser to prove the facts. My Take on it – I had never heard of this film before I came across it and also had never even been aware of the real story that this was based on. I found it interesting to learn a bit more about how the British legal system works and found the subject matter so interesting to watch. Many of us have heard about cases of Holocaust deniers but this film shows us what happened in a real life case. The fact that the British Legal system required the defendant to bring a burden of proof was interesting to watch because it is the exact opposite of what we Americans are aware of. The court scenes and even the court preparation scenes were great to watch because they were so riveting being that much is taken word for word from the actual transcripts. The dialogue from both sides is so calculated that it makes it so much more amazing to watch because each word spoken is very carefully chosen. The cast here is superb with Rachel Weisz, Tom Wilkinson and Timothy Spall all doing amazing jobs. The latter two were especially great because they were able to spar with one another with passion yet without emotion. Weisz was quite good here also, but it takes a little while to get use to her terrible accent. Bottom Line – Great and moving film about a subject that many of us have heard about. The court scenes and the preparation for them is quite riveting to watch since it contained such calculated dialogue from both sides of the argument. The cast is superb and my favorites are Wilkinson and Spall because they know how to spar so intelligently. Weitz is also interesting to watch despite her terrible New York accent. Highly Recommended!